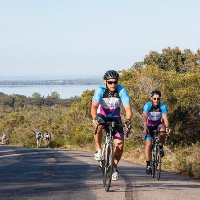 I have chosen to ride over 200 kms to support the ongoing works of ONE80TC in its mission to rescue, restore and rebuild young men and women wanting to overcome addiction and other life controlling issues. Thank you for helping turn a life around. Jeffrey Ramdoo $750.00 Legend! You have a lion's heart. Love you bro! Graham Mara $50.00 King of the Mountain!